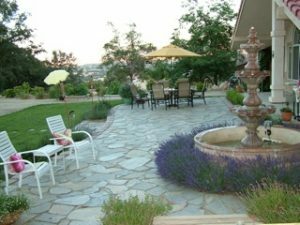 Landscapes and gardens at their best give us a respite, a place to cocoon ourselves in the comfort of nature and escape the pressures and stressors of everyday life. They provide multi-use spaces, places to connect with friends and family. No one is there unless invited, so we have an outdoor location where it is safe to express our style and preferences as we entertain, relax and interact with the people in our lives. 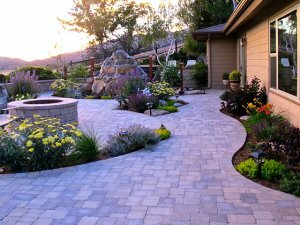 Naturally we want to put our best foot forward and bring out the beauty of our home and yard. There is so much we want to do, and yet we often don’t know where to begin. The task seems daunting. Breaking it down into five easy steps makes the process manageable. Today we will focus on step # 1. What do people see as they drive up to your house, park their car and approach your front door? Does your home say “Welcome, we are so glad you came to visit”, or is it more like “I am so rushed I did not have time to prepare for your arrival”? My front entry. Welcome to our home! A quick way to spruce up the approach is to add color. A few six packs of annuals placed in pots on either side of the front door would do the trick. 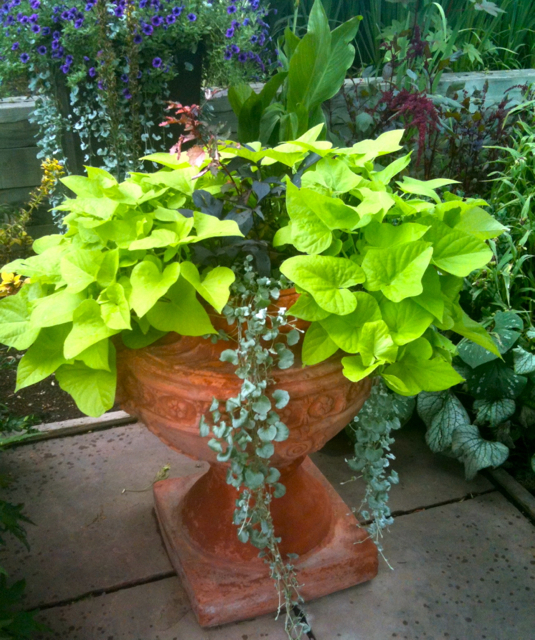 Mary Palmer Dargan, at Dargan.com recommends 18 inch pots or larger for creating impact. My approach is asymmetrical so I group pots on either side of the approach to the door, using different sizes to balance the space. For a quick fix, when company is on the way, I have been known to run to the nursery, purchase a few hanging baskets of mixed colors, and set them directly into the waiting pots. These will often last an entire season. 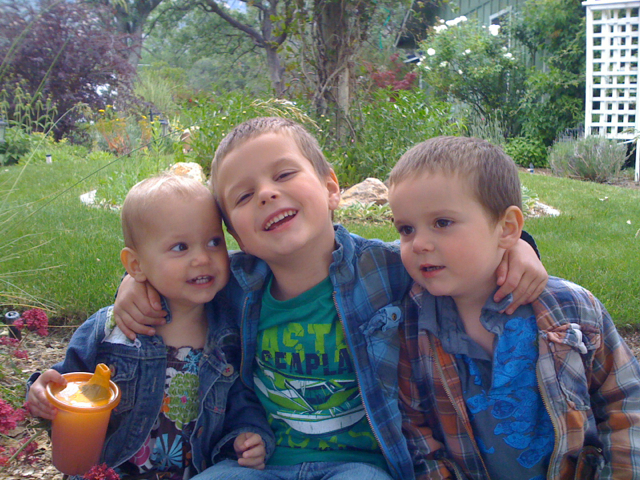 My mother-in-law (who lives with us) can be relied on to take charge of them and make sure they are watered and fed. 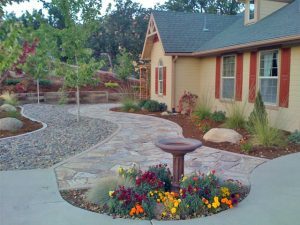 If there is no room right by the entry for this, an alternate place for color would be a small planting bed on either side of the driveway entrance, or accenting a mailbox by a curb with some colorful annuals, grasses, or a mix of perennials would be cheerful. 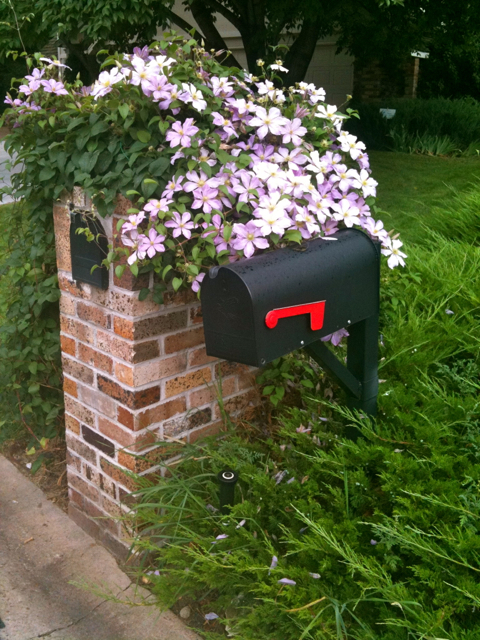 A beautiful Clematis brightens up the mailbox. What ways have you found to spruce up your curb appeal?